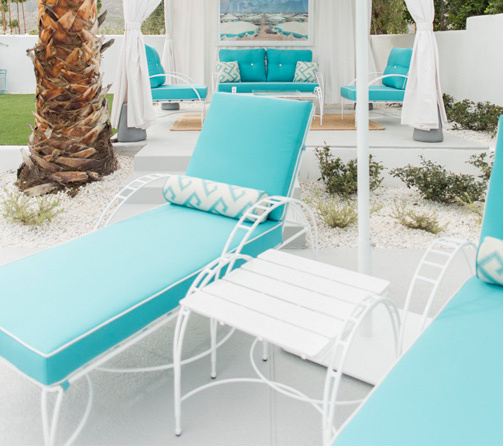 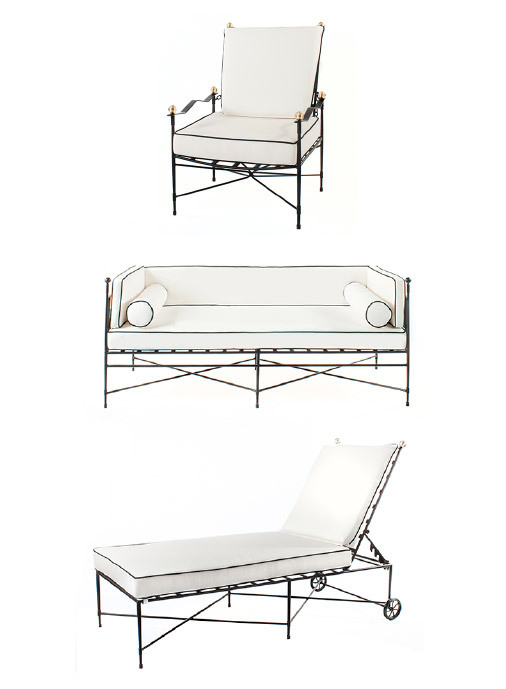 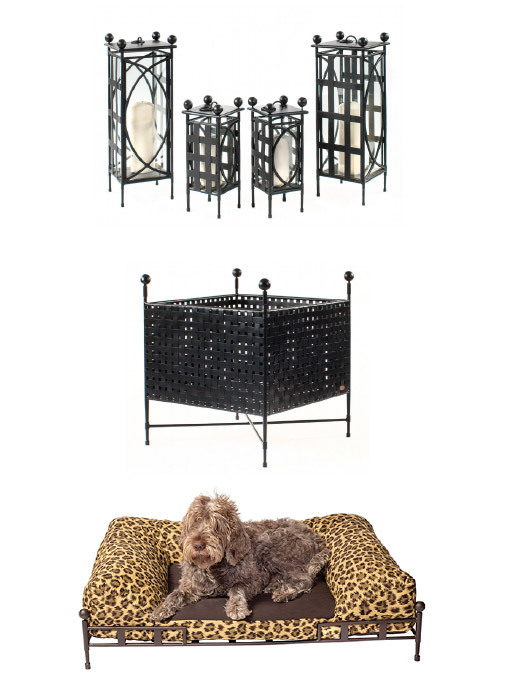 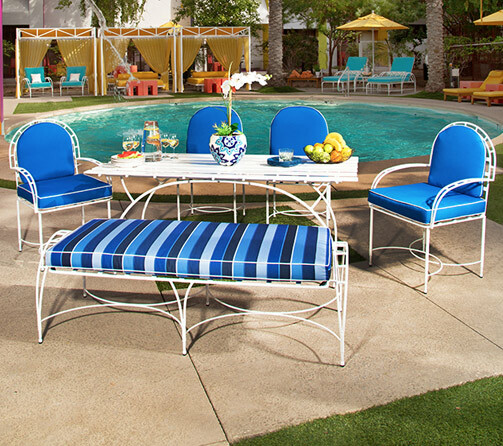 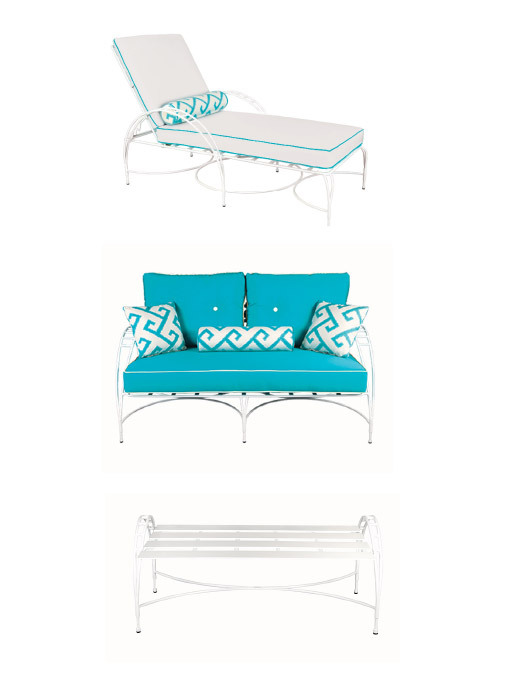 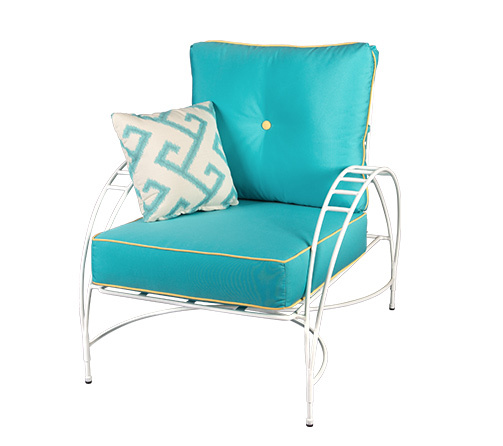 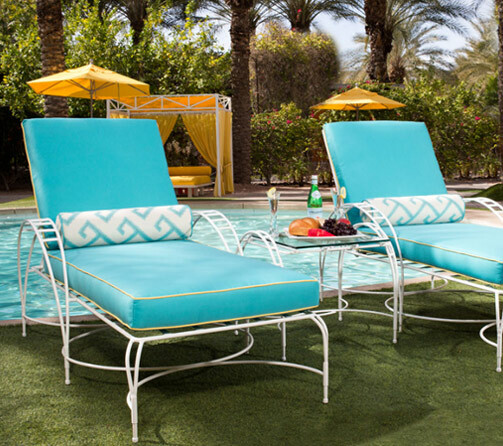 The Phoenician Chaise Lounge offers deep seated comfort in a handcrafted steel frame. 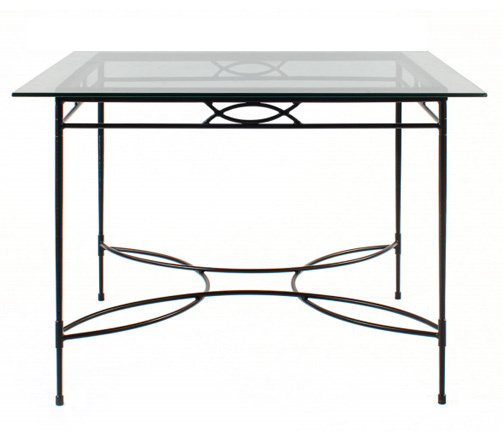 The framework has a seamless fluid feel, highlighted by curved arms which celebrate circles and arches. 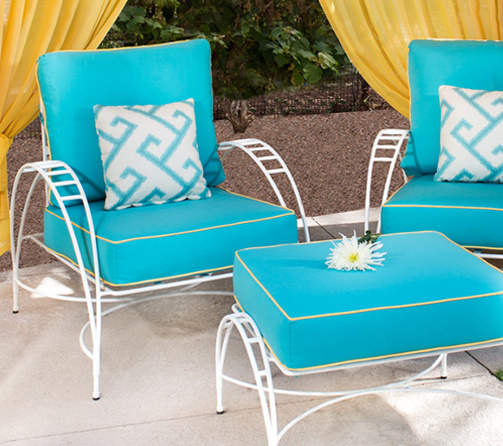 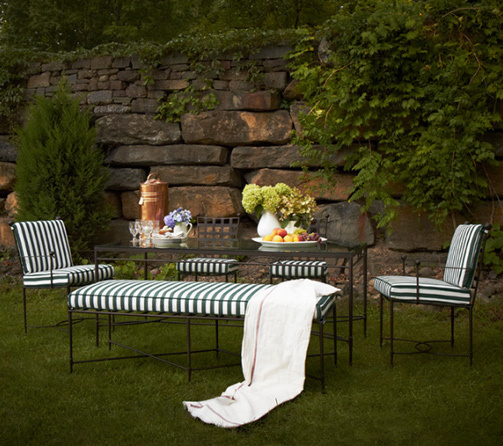 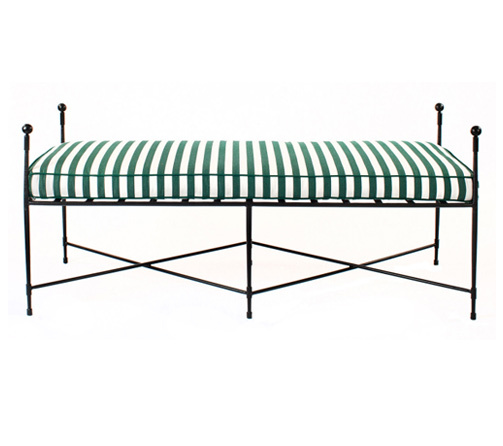 Soft, cozy cushions are covered with Sunbrella fabrics and accented with contrast welting. 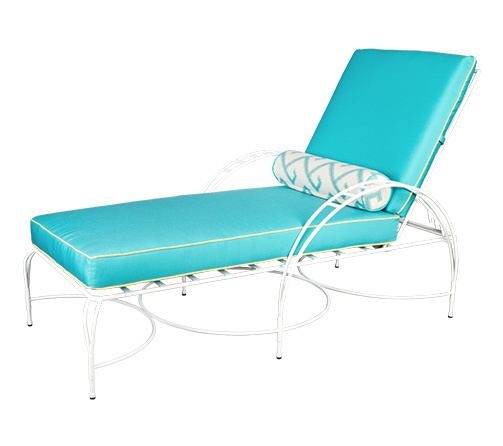 Pair this five-position back chaise lounge with our lounge set for the ultimate retro vibe. 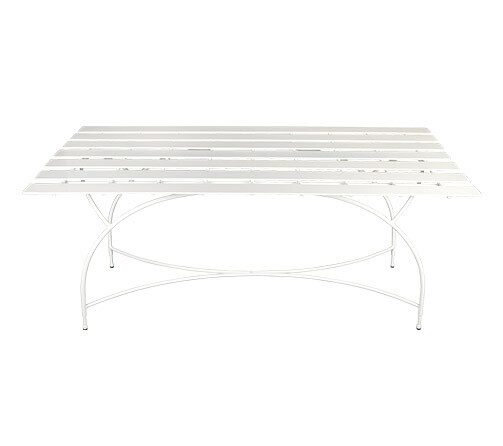 AS SHOWN: P10, powder coated in Alabaster White.